For the last month my mind has been focused on one project that I wish could happen and that’s renovating this old house. I have already been brainstorming and it is getting the best of me. Since I can’t just go in and do what I want to do, I’ve been designing each room of the house. I’ve only been in it once and I thought about taking pictures, but that didn’t quite happen the way I expected it to since it was darker in some rooms than others. So I’m here to share my plans with you all if I ever get a chance to renovate this small ranch style home. 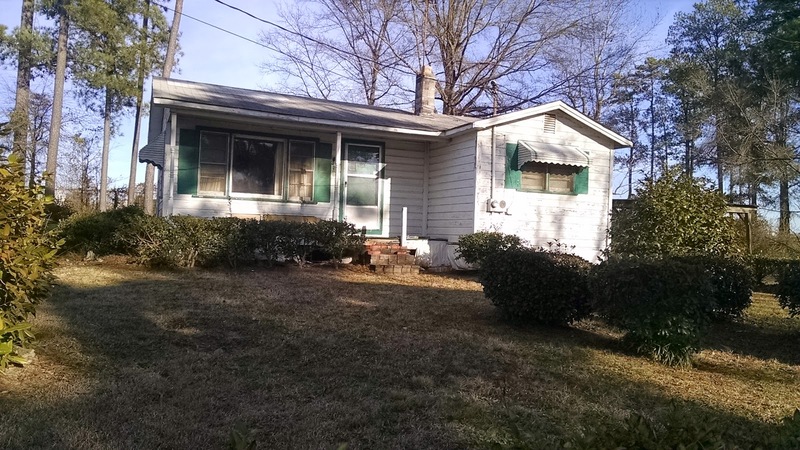 For starters this home is around 672 square feet, 2 bedrooms and 1 bath. Quite small, but it is bigger than my first apartment rental even though the ceilings are lower than usual! It has a lot of potential if you do the right things to it. I understand that my dreams for this home is pretty much over the top, but who can blame me? Everyone wants the nicest home that feels like their dream home if they can’t afford it at the time and that’s exactly what I see for this home. A cozy, but luxurious place to call your own. I have put together a floor plan even though I’m not sure of the bedroom closet space since there were spider webs all over the place, but this is the best I could come up with. 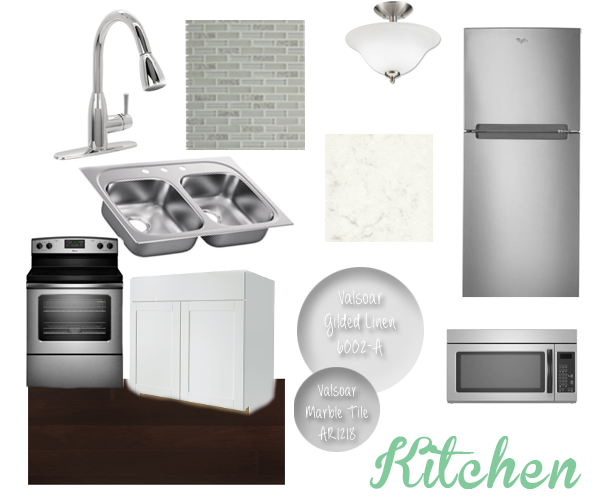 Well this week I will let you see my kitchen plans for this room. Photoshop has helped me a lot and I found out a lot of things that I never knew how to do. For example, turning angled objects into straight ones using the crop tool! Anyways, this is not your average kitchen as you can expect in a home this small. 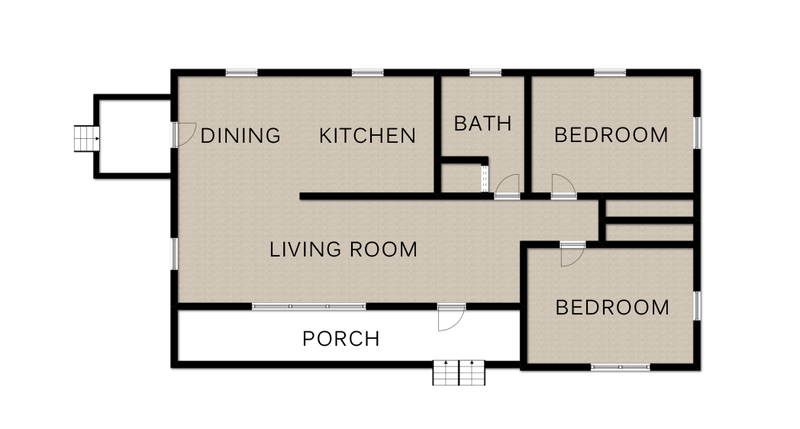 If it had only one bedroom a lot more space could be used for the kitchen, dining, and living area, but I think I would rather have a two bedroom home than a one bedroom with a lot of living space. Maybe it’s just me though? I haven’t measured the kitchen yet, it’s on my to do list, but from what I remember I would say this room is at least 7ft by 5 ft or maybe even smaller. Well here’s my mood board for it. Right now, this room will cost around $5,628.94. That doesn’t include if I wanted to ship all these items to the home instead of picking them up or trim to finish off the space. And that doesn’t include any hidden cost like electrical or new windows that this home needs. I tried to keep all cost as low as possible without sacrificing the design. The item that will cost the most in this project is cabinets of course and then counters. Yes, I estimated how much it would cost for the counters for the amount of counter space there is. The cabinets I would go with in stock cabinets at Lowes and the counters i’m still debating on. Even though there are mix matched appliances, if I could find a cheap appliance package less than $1300 that would be idea. Since this is stainless steel, that price would be hard to find but hopefully not. 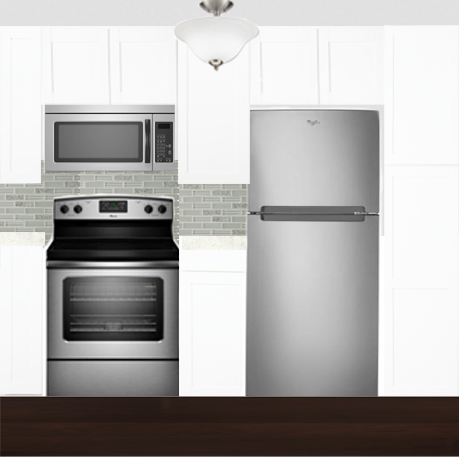 If I couldn’t get stainless steel for this space, I would settle for black appliances. Not the wow factor I was looking for but they could always be replaced later on down the line. I chose a light grey for the area so that it will still feel light with the dark floors to contrast. On the shared wall of the kitchen and bathroom I would put the accent color of the darker grey. Don’t ask why, I just want some pop somewhere. I even laid out the entire kitchen with the cabinets and appliances in place. I know, I’m doing too much right? On the far right of the fridge is a pantry since the kitchen doesn’t have that much storage space. 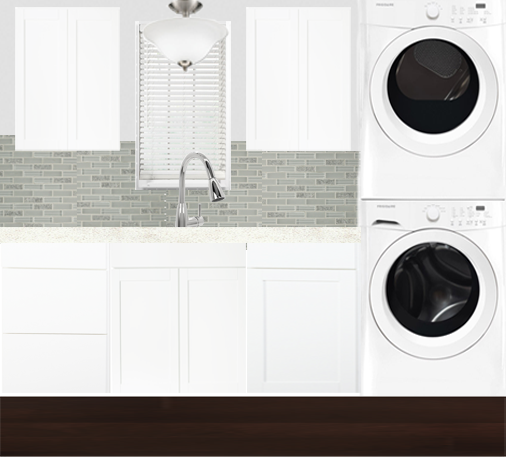 If the pantry can’t fit on the same side as the stove and fridge, I would move it to where the washer and dryer is and place the washer and dryer in the bathroom closet. I really don’t want to do that though since that would take up some of the bathroom storage for towels, toilet paper, sheets, broom, vacuum and all that special stuff that goes in a house with only one closet besides the bedrooms. The only other option would to put a pantry in the dining room and take up some of that space. It may work out though who knows. I know I’ve done a lot of brainstorming in the past few weeks, now if only Caiden can make his debut so that I can get ready to make some things happen. I know I won’t get everything I want but I do want this to be a really nice space that one can enjoy to the fullest! Either way, a month after Caiden comes I plan on being inside that house cleaning it up and seeing what all really needs to be done!